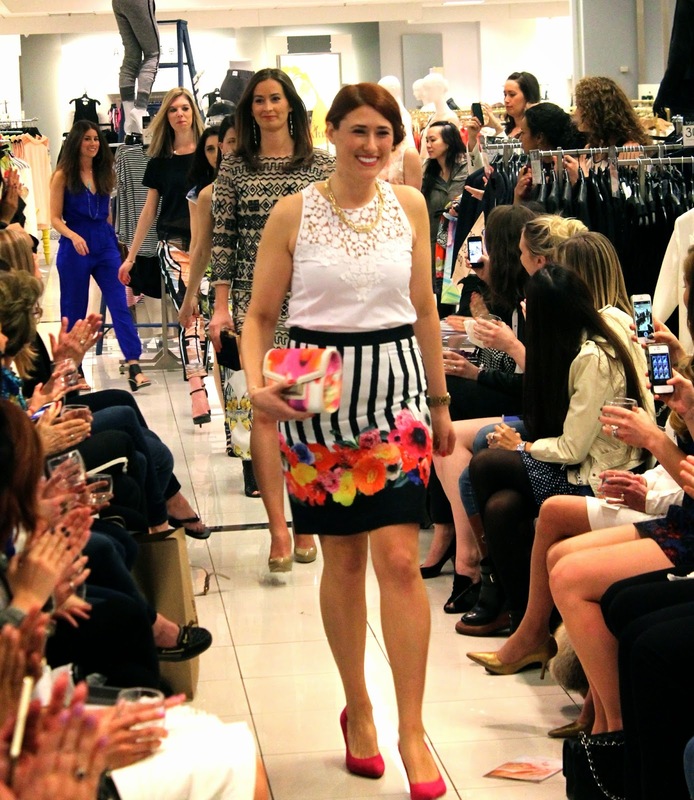 A few weeks ago I was lucky enough to participate in Garnish and Glam's Spring Fashion Preview Show at Bloomingdales on Michigan Avenue. 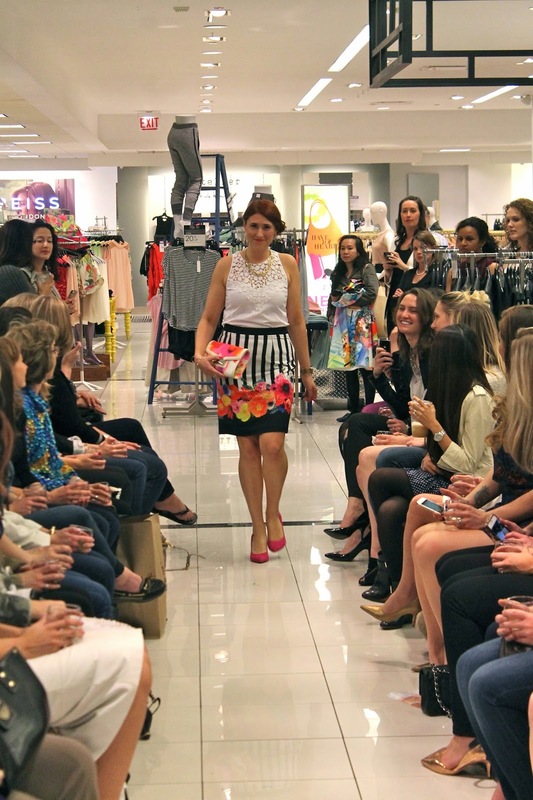 All of the models got to pick out a spring look from the Bloomingdales Collective to wear in the show. Lana jewelry provided all the gorgeous accessories that added the perfect touch to all the looks. Special thanks go out to Allison at Bloomingdales for helping us get these looks together, Illamasqua for the stunning makeup applications, and of course the girls of Garnish and Glam: Nicole, Anna, and Steph for throwing this fabulous night of fashion and fun! Everyone looked great. 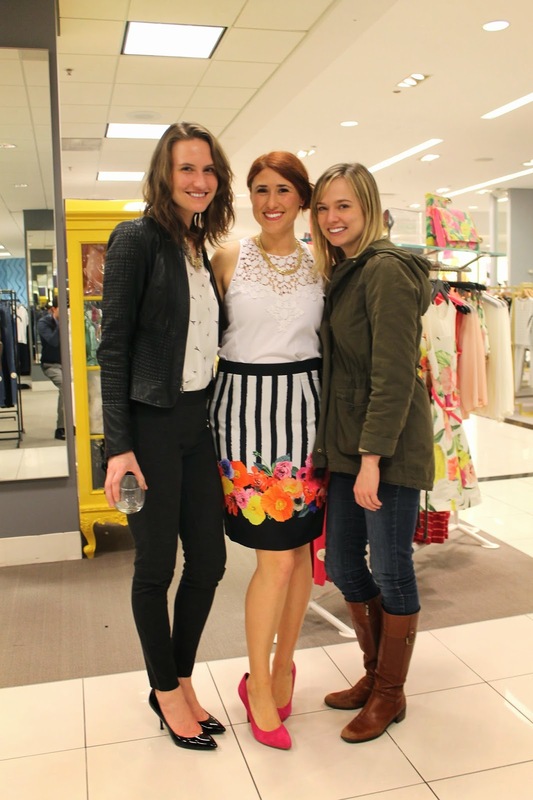 You've just got to love when beautiful blogger buddies like Emily and Maya come to support! Your outfit is too cute! I love Emily & Maya and I'm so jealous you all met!